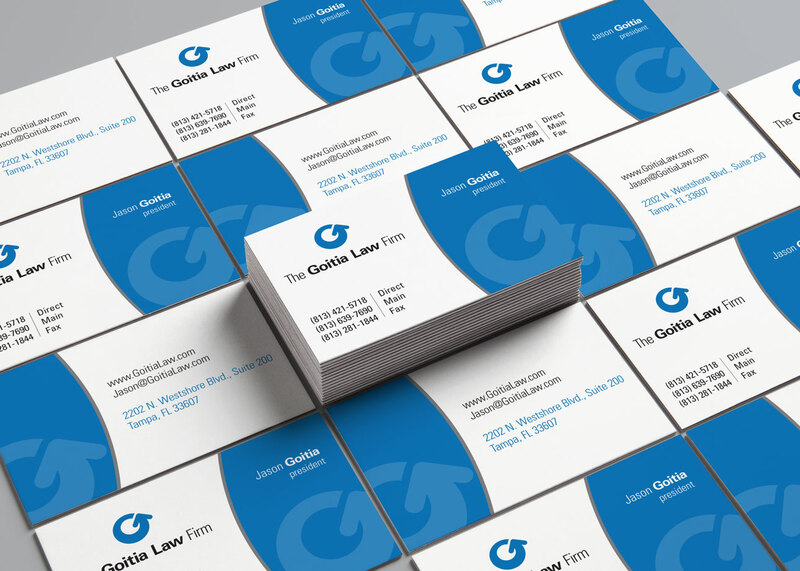 The Goitia Law Firm focuses its practice on providing cost-effective, but custom, solutions for individuals and business. Another referral, Mr. Goitia was in need of a new logo for his practice. This project was inspired by the positive expectations in any court case, hopefully moving forward towards a positive outcome. The letter G was perfect to convey that message by the way it flows up forming an arrow.